Daniel Ricciardo had a tough time deciding where to go. 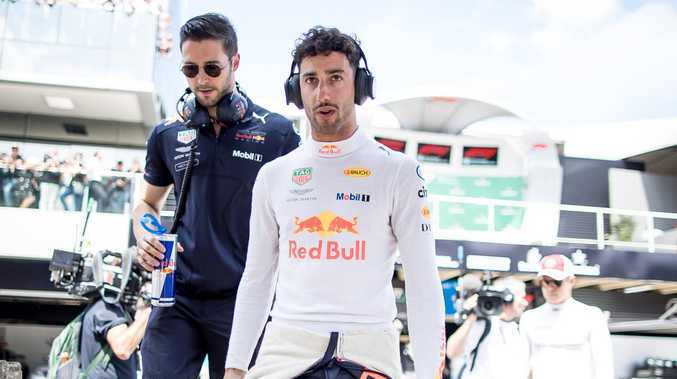 DANIEL Ricciardo has revealed it was "confusing" not knowing where he stood with some rival teams as they chased his signature at times as he deliberated leaving Red Bull during the 2018 season. The Aussie F1 star said it was tough to differentiate between the teams that had a genuine interest in him and those who were playing "games". Ricciardo reportedly entertained offers from multiple outfits as he agonised over whether he should leave the team he had been with for the entirety of his F1 career. Eventually he signed with Renault on a two-year deal that will carry him through until the end of 2020, but early on it was assumed he'd only leave Red Bull to improve his title chances with either Ferrari or Mercedes. Reports suggested the Scuderia had cooled on recruiting Ricciardo to join Sebastian Vettel because they didn't see his personality as the right fit for the Italian team, but the possibility of joining Mercedes and McLaren remained. According to ESPN, the Silver Arrows were on the fence about pursuing Ricciardo for a while before ultimately settling on extending Valtteri Bottas's contract because they decided they were unwilling to offer the West Australian a multi-year deal. 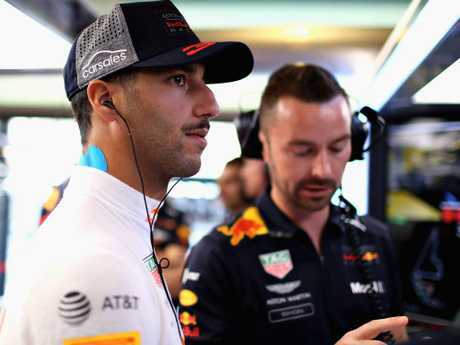 "I knew talks would take a bit of time probably and again, trying to feel each other out, but it got to June, July and maybe we had spoken a few times and we hadn't really got anywhere, so if you want me tell me otherwise, I will move on - that's cool," Ricciardo told ESPN when quizzed about his dealings with Mercedes. "I don't even know if it's games, but circling around the edges, it's like - just go straight in! "But these are all things I will learn, and I am sure there will be another time in my career where I will need to go through this process again. I am sure there's things I will do differently. I don't necessarily have any regrets, it's all just a learning process." The process of dealing with teams other than Red Bull was a new experience for Ricciardo and while he said parts of it were "exciting" and "fun", he also said it was annoying at times because he was confused about what teams really wanted from him. "I guess on one hand I had teams that really wanted me, and then on the other there were teams that were kind of half the foot in the door but not really - so Mercedes and that," Ricciardo said. "At times it was confusing for sure, and obviously you're trying to figure out what is real and what isn't, who's genuine and who is not. Again, that was exciting, but it does keep the mind ticking a little bit." Will he have a more fruitful time at Renault? 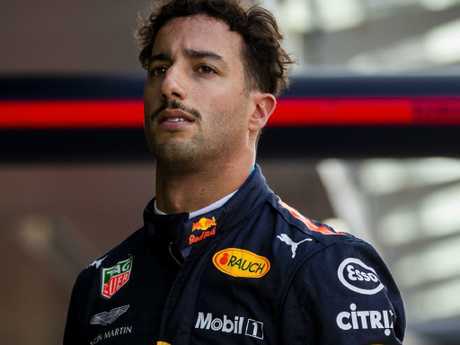 Ricciardo retired eight times in 2018 as engine woes and mechanical failures contributed to a horror season. He finished sixth in the drivers' standings, well behind Bottas in fifth, after his campaign was crippled by repeated failures to cross the finish line. But Aussie F1 icon Mark Webber fears Ricciardo has quit Red Bull at a time when it will improve the most, meaning he will miss out on a chance to be part of the team's rejuvenation. "I think we're all a bit concerned about it (Ricciardo quitting Red Bull)," Webber told Macquarie Sports Radio last week. "I think the funding and the backing and with Honda coming, I don't think they (Red Bull) will be incredibly strong next year but by 2020, I think they could be a very special outfit to be with again.